What Does It Mean to Be a Lutheran University? The recently released book The Idea and Practice of a Christian University: A Lutheran Approach offers a biblical, Lutheran view of higher education that’s rooted in the interaction of faith and learning. 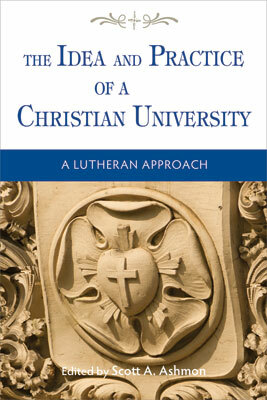 In the following excerpt from Dr. Steven Mueller’s chapter, “Distinctives of Lutheran Theology for Higher Education,” he talks about about Lutheranism as “a living confession of the Christian faith” and the implications this has for a Lutheran university. There is, as we have noted, a point in recognizing and celebrating her­itage and culture. These and other cultural expressions may be important parts of a university community and may help unite constituents in mean­ingful ways. Whether recognized or not, such cultural expressions are always with us. Yet such things are not, of themselves, the essence of Lutheranism. Properly speaking, Lutheranism is a living confession of the Christian faith. Lutheran Christians carefully articulated their shared identity by corporately adopting a common confession of their faith in the sixteenth century. Lutheranism emerged in a time of crisis in the Christian Church—a crisis that affected all Christian groups. At a time when the Christian forebears of all Western churches had drifted from clear biblical teaching, Martin Luther and others sought to reform the Catholic Church and restore biblical teachings. When this was met with resistance, Luther and his colleagues drafted various documents showing the biblical basis for their teaching and demonstrating that theirs was not a new teaching but rather the faith that had been confessed by Christians of all ages. Those Confessions were eventually collected in the Book of Concord. That book does not presume to be on the level of Scripture, nor is it an inspired text. It is, rather, a summary statement. Lutherans believe that these Confessions accurately summarize what Scripture teaches about specific theological topics. The Confessions never replace the Bible, which is always the theo­logical authority. However, once a group of people has studied the Scrip­tures, it is legitimate and arguably necessary for them to draft statements of agreement that demonstrate precisely what they think the Scriptures teach and specifically mean by those teachings. Confessional Lutheran churches and institutions specifically agree to these Confessions as do ministers in those churches. Thus at its core, Lutheranism is a confession of faith; it is a theological movement. To claim the name Lutheran is, properly, to affirm a theological grounding that guides and shapes doctrine, faith, life, practice, mission, and direction. An institution may have Lutheran origins but without a theologi­cal commitment to a living expression of that commitment, it is not truly a Lutheran institution. Lutheranism, like all other human institutions, expresses itself in cultural forms. Yet Lutheranism is not primarily a culture and cannot be limited to cultural elements nor to any particular culture. Lutherans, at the core, believe that Scripture is the Word of God, the source of all doctrine, and the only infallible source of faith and practice. Luther­ans believe that Christians can reach reliable conclusions about what the Bible teaches and that we can confess those truths together as we carry out our callings. Lutheranism is not a mere denominational moniker but a liv­ing, guiding confession that is normed by Scripture and seeks to be faithful to God and his Word. So if Lutheranism is, properly, a living confession, what does it mean to be a Lutheran university? This book engages the interaction of the Lutheran faith with various aspects of higher education. But if this is to be done in any meaningful way, we can have no watered-down, least-common-denominationalism (or non-denominationalism). Lutheranism is part of the one holy Christian/catholic church. This naturally means that much of Lutheran teaching is shared with other biblical Christians. In fact, the first three documents in the Book of Concord are the Apostles’ Creed, the Nicene Creed, and the Athanasian Creed. These ecumenical confes­sions are shared with all Christians. The majority of Christians even confess these creeds in worship today, just as our Christian ancestors have done for over 1,500 years. But if we are to identify and embody a distinctively Lutheran ethos, we must do more than merely articulate the common ecu­menical teachings. We must be honest about both our commonalities and our distinctions. This is the historical position of Lutheranism. There have been, and are, some Lutheran bodies that do not affirm all of the documents in the Book of Concord and some, today, who make little to no use of these Confessions. In this chapter we are considering these Confessions in the historical sense, that is, as a whole. Confessional Lutherans subscribe to these Confessions because these Confessions agree with Scripture. Some Christian groups insist that they have no confessions. One church famously pro­claims that they have “No creed but Christ.” It does not take much investigation to realize the inaccuracy of such claims. While they may not follow historic creeds and confessions that are shared with others, most groups do provide statements of what they believe. A quick look at a church’s website often reveals their creed as a summary of beliefs. In fact, even the statement “No creed but Christ” is, in effect, a creed! Those who have been appropriately trained and equipped for specific offices of min­istry, who confess that the Bible is the inspired Word of God and subscribe to the Book of Concord as a faithful witness to the teachings of Scripture, and whose minis­try is connected to the ministry of Word and Sacrament (in the case of some ministe­rial offices, connected to the Gospel without sacramental authority) may be formally recognized by confessional Lutheran churches as called ministers. The difference between a “called” and “contracted” person is not academic or professional qualifica­tions or dedication, but a full commitment to the Confession of the Lutheran Church and willingness to take appropriate responsibility for their part in that confession and ministry both locally and throughout the whole church. This is a key point: those who are formally called to their positions as ministers of the Gospel are ministers not just in one place but of the whole church. Their ministry is explicitly connected with the Gospel and is conducted accordingly. See Steven P. Mueller, ed., Called to Believe, Teach, and Confess: An Introduction to Doctrinal Theology (Eugene, OR: Wipf and Stock, 2005), 485–505 for an introduction to the creeds and to other Confessions. From The Idea and Practice of a Christian University: A Lutheran Approach, pages 69–71 © 2015 Scott A. Ashmon. Published by Concordia Publishing House. All rights reserved. 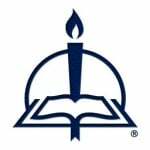 To order The Idea and Practice of a Christian University, please contact CPH at 800-325-3040 or visit www.cph.org.